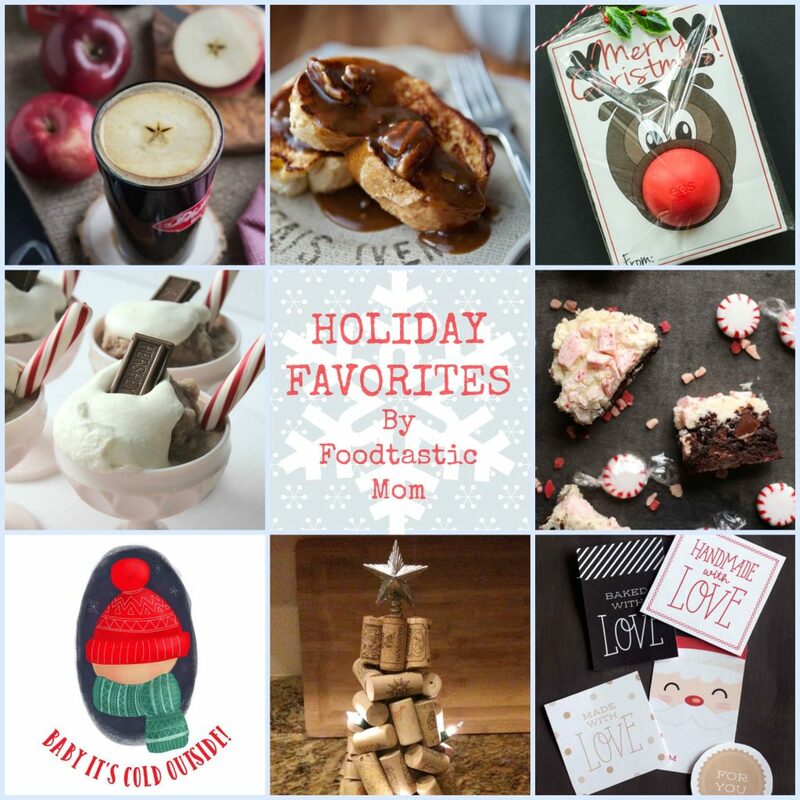 Anyway, there are SO many fun holiday things that I see everyday and these are just a few of them that I have actually used this season, or WILL be using… even if it takes me till March! 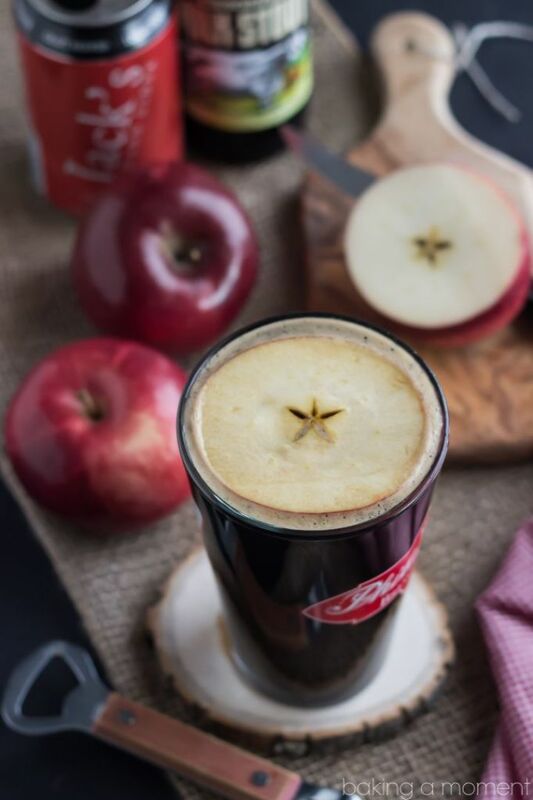 So starting in the upper left-hand corner and working around clockwise, this drink is called the Velvet Apple and it’s the creation of my blogging friend Allie over at Baking a Moment. It’s just a mix of milk stout and hard apple cider, but I’m smitten with it. I think it’s the floating apple slice? Anyway, it’s delicious and a festive drink to serve friends at the holidays. Each Christmas morning, I make THIS stuffed french toast for our family. 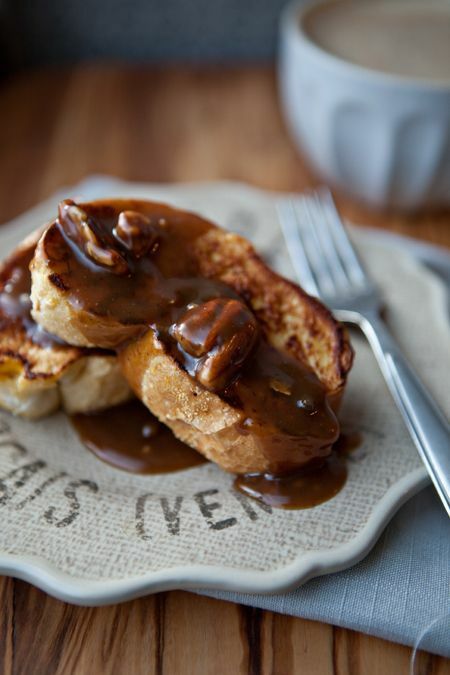 I might face a mutiny this year, but I’m seriously considering a change up and serving this french toast with GINGERBREAD PRALINE SAUCE (recipe thanks to Food for my Family) instead. I bet I could drink that sauce by itself and be perfectly happy. 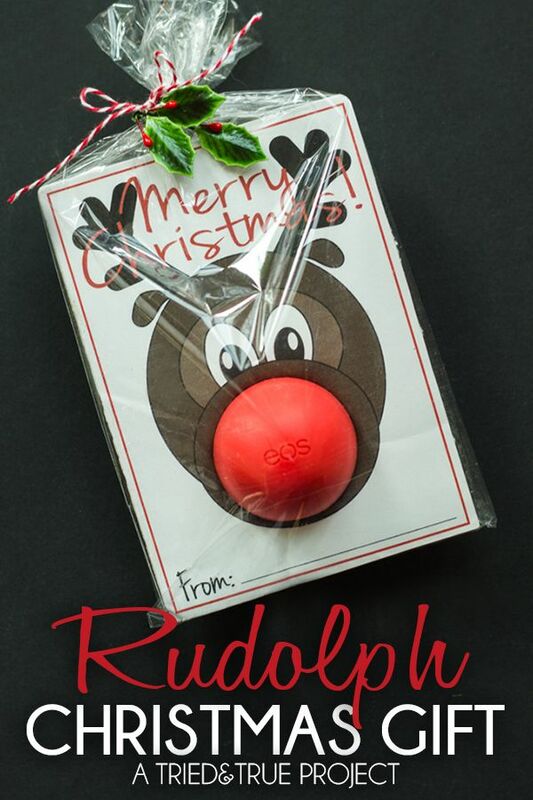 So this Rudolph’s nose is a red EOS lip balm. It’s so clever and cute (thanks to Tried and True). 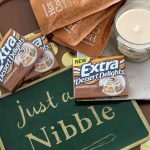 These are our teacher’s gifts this year… combined with a Panera gift card and simply packaged in red and white cellophane bags, tied with ribbon. I love it! 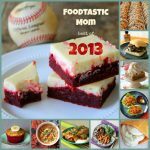 These brownies are from another one of my blogging friends, Amy over at Club Narwhal. 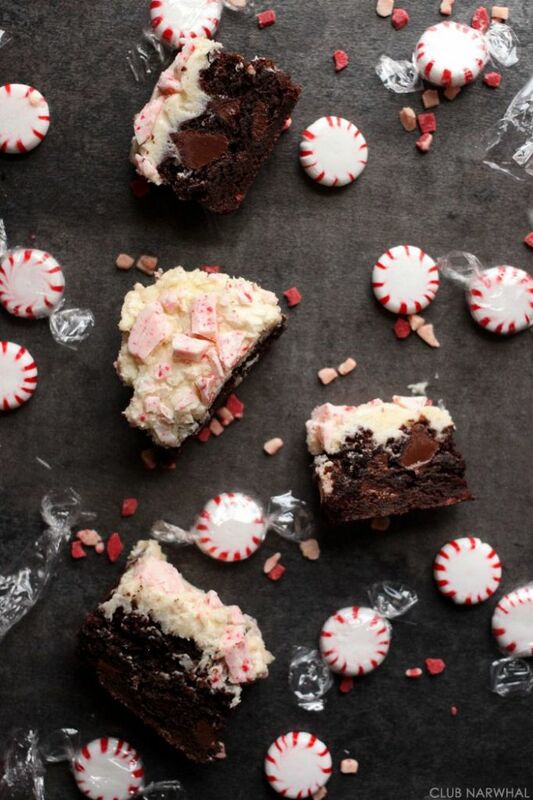 I’m currently obsessed with the Dove brand peppermint bark bites (they have dark chocolate on the bottom) and these brownies are a home-baked version of that flavor combo… with the added bonus of a thick layer of white chocolate cream cheese frosting. So swoon worthy! 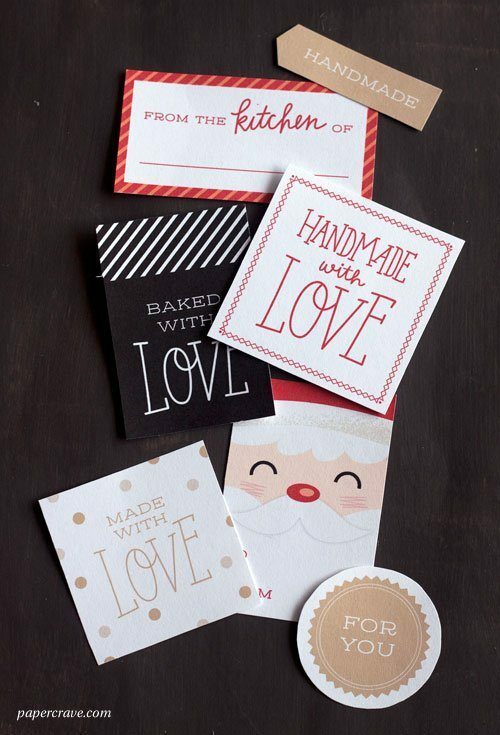 And how adorable are these free, printable gift tags thanks to Paper Crave. 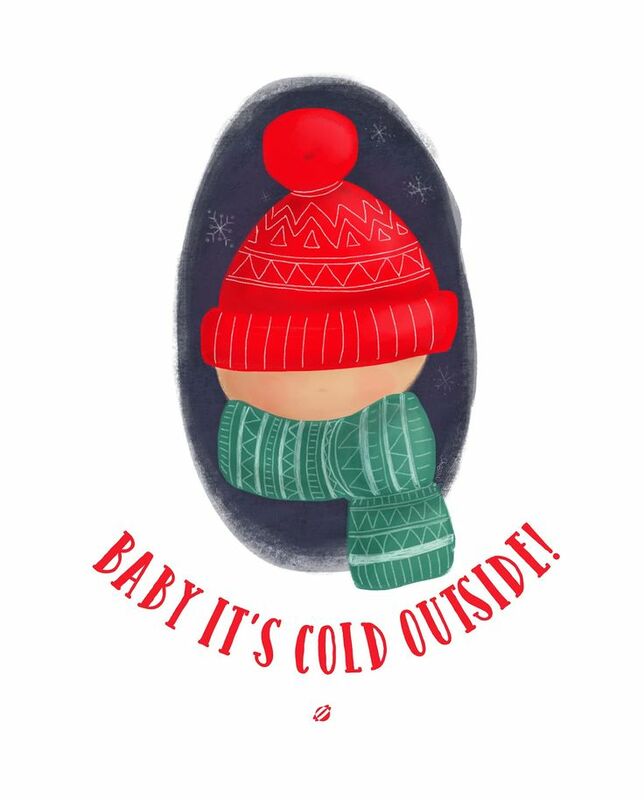 These will be making an appearance on our packages this year… especially the Santa one! 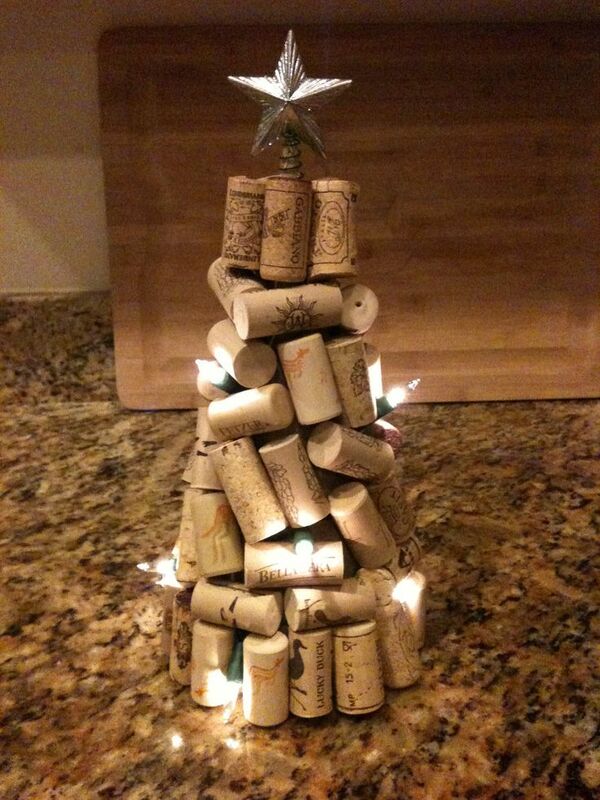 From The Wooden Bee, possibly the best crafty use of wine corks I’ve ever seen… a little wine cork Christmas tree, complete with lights and a star. I’m SO making one of these! I use Lost Bumblebee’s prints often to decorate our home. I just love her style. As soon as she posted this print, I framed it and immediately displayed it on our mantle with pictures I’d just taken of our two kids in the snow. It’s perfect! 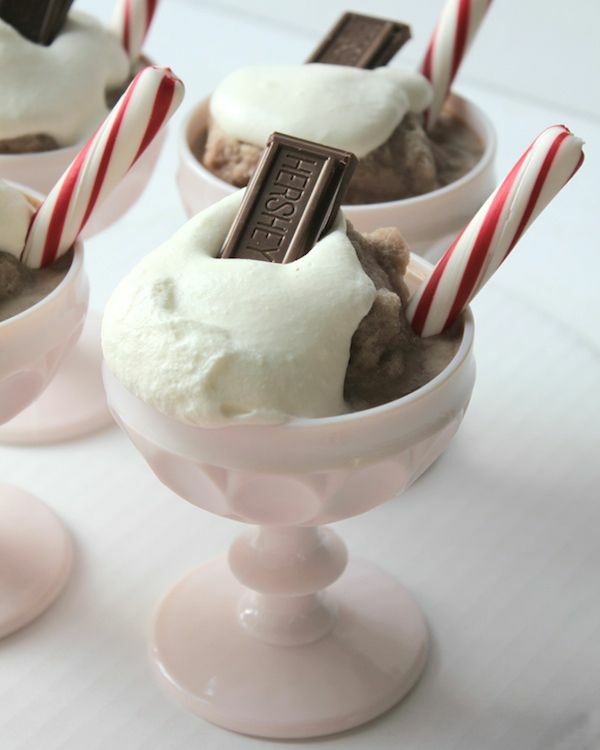 And finally, this holiday version of a copycat recipe of Serendipity’s Frozen Hot Chocolate (thanks to Big Girls Small Kitchen) is fun and appropriate for SO many reasons. It is a perfect holiday treat, but it’s also going to be a treat at my daughter’s Frozen-themed birthday party in March! So glad you liked my Rudolph Lip Balm Gift! So much fun! 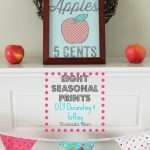 I’m loving all of these ideas but especially the rudolph one!